Barbour Womens Tempest Wellington Boot. 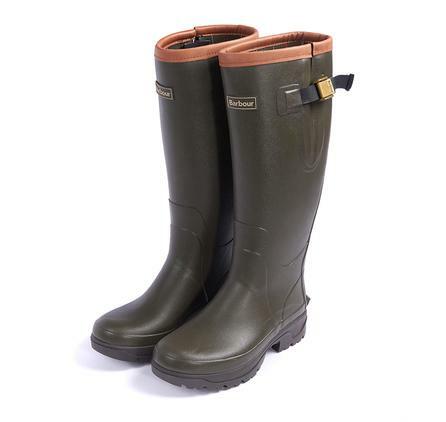 Barbour's Women's Tempest boot is a ladies version of Barbour's Men's Tempest outdoor welly. It is an adjustable wellington boot with printed Barbour classic tartan neoprene lining. It has a rubber sole and vulcanised construction. Allow any dirt to dry when wipe clean with a damp cloth or sponge. Choose your U.K. shoe size from the pull down menu below.